The perfect blend of sweet and savory, our Sweet Potato Spoon Bread is a decadent side dish perfect for any gathering. From the first time we tasted this decadent recipe, we knew we’d found a keeper. Delicious enough to be desert, this rich and creamy spoon bread is a sweet and savory blend of vegetables and spices. 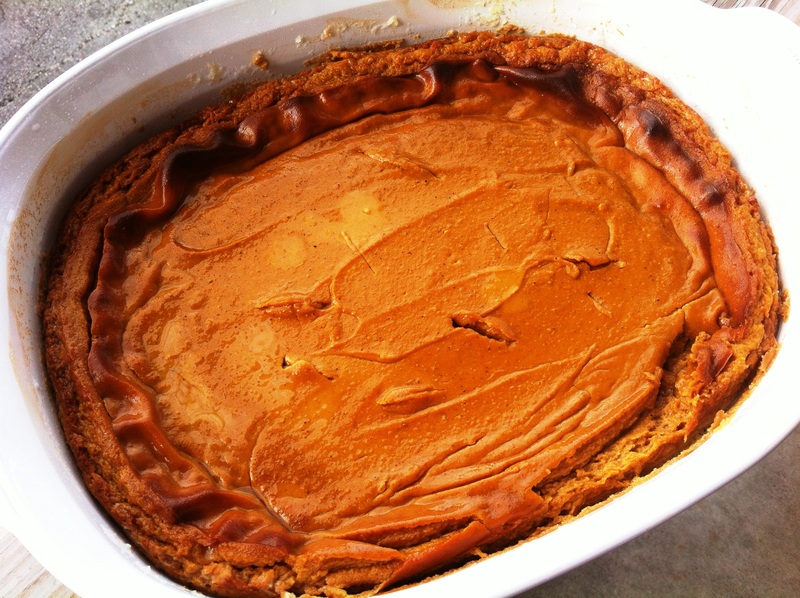 Sweet potatoes are baked until their natural flavors literally ooze through their skins, then they are combined with a medley of spices, pureed and baked into a rich custard. Whether served with roasted poultry or glazed pork, this is a luscious taste of home-baked goodness your family will ask for time and again. Heat oven to 400°F. Bake sweet potatoes until soft when pierced with a knife, 40 to 45 minutes. Let cool. Peel, and discard skins. Reduce heat to 350°F. In a medium saucepan over medium heat combine cornmeal, milk, butter, brown sugar, spices, salt and 1 cup water. Cook, stirring, until slightly thickened, about 10 minutes. Let cool. Butter a 2-quart baking dish. Working in batches if necessary, place cornmeal mixture, sweet potatoes, flour, honey, eggs, and cream in a food processor. Process until smooth; pour into dish. Bake until golden brown, about 45 minutes. Serve. TIPS: When baking the potatoes, be sure to poke them all over with a fork so they don’t explode in the oven. Also, place a baking sheet beneath them to collect any juices that may drip down to ensure easy cleanup. 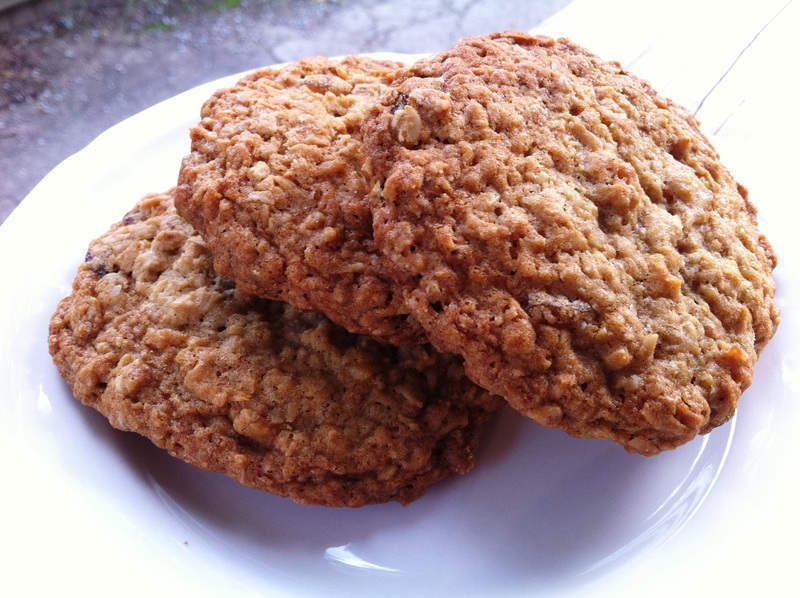 Golden Raisins and sweetened coconut make these hand-sized oatmeal cookies extra chewy. These yummy treats will turn nearly anyone into cookie monsters. When we served these at a gathering where several children were present who are known for being very picky eaters, they couldn’t get enough of our cookies. In fact, one of our favorite little 3-year-old friends grabbed a handful of them before leaving the party. We laughed as his eyes darted around the room to make sure no one noticed what he’d done before he escaped his “covert operation.” We know your guests will want to swipe some for themselves too, so be sure to make plenty to go around! Preheat oven to 350°F. Line two baking sheets with parchment paper. In a medium glass bowl, whisk together flour, baking soda, and salt; set aside. With an electric mixer, cream butter and sugars until light and fluffy. Beat in eggs and vanilla, scraping down sides of bowl as needed. Add flour mixture; beat just until combined. Add oats, raisins, coconut and cinnamon; beat just until combined. Cover dough loosely with plastic wrap and chill in the refrigerator for 30 minutes. Drop level 1/4-cup measures of dough, 1 ½ inches apart, onto baking sheets. Bake until cookies have spread and are golden brown and soft to the touch, 18 to 20 minutes, rotating sheets halfway through. Cool 5 minutes on sheets; transfer to a wire rack to cool completely. TIP: You can also freeze unbaked cookies and bake them later. Place unbaked cookies on baking sheets and freeze until firm, about 30 minutes. Transfer to resealable plastic bags (label and date); keep up to 6 months. Bake as many as you need (without thawing); place 1 1/2 inches apart on a baking sheet. Bake 20 to 25 minutes. Sweet pecans and savory cinnamon combine in these mouth-watering buns your family will love!